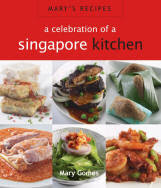 The cookbook has Chinese, Indian, Malay, Eurasian and Nonya dishes. 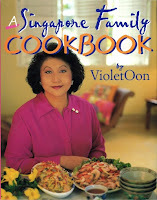 Recipes from Australia, France, Malaysia, Thailand, Japan and the Mediterranean were collected from Violet's travel ventures. It is peppered with anecdotal remembrances of everyday and festive meals shared - with the kind of hints a mother would share with her daughter while cooking together in the kitchen. 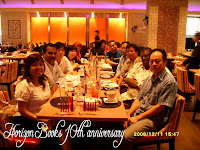 More than 100 recipes are presented - from soups and rasams to snacks and sweets and healing foods to help ease minor discomforts and quicken the process of recuperation. 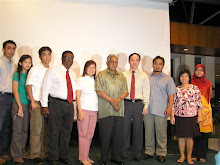 Vegetarian and healthy alternatives to traditional dishes are provided with easy steps using modern-day conveniences . 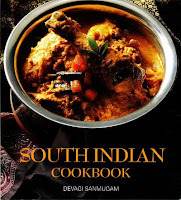 You will also find tips for alternatives and notes for a South Indian kitchen and pantry. 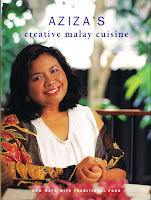 Author Aziza Ali having created her own unique style and taste, she shares with you traditional Malay recipes such as Rendang Istimewa, Oporan, Rojak Tahu Telur and Puteri Berendam, all done with a creative twist. There are also new creations such as Baked Oysters with Spinach, Potato with Lobster Tail Soup and Fish Stuffed with Spinach.